My friend Josh is an animal lover. 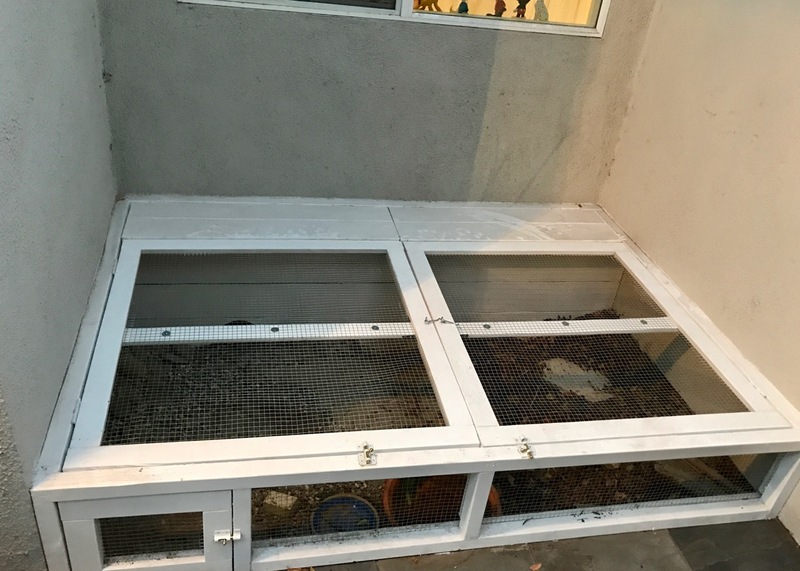 So it was no surprise when he built a sweet catio for his three cats. But that appears to just be the beginning of outfitting his home for his pets. 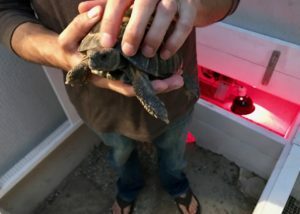 He recently completed a tortio (tortoise patio) for his newest family member named Hazel. It is completely enclosed to keep Hazel safe from predators. It is also decked out with a cool little tunnel in the back which leads to a heat lamp. Hazel could not be happier. And she loves to have her head scratched. Up next? Probably a chicken coop according to Josh. I love this idea! It’s so great to have animals in a natural outdoor habitat free from predators! That is one lucky tortoise! Indoor/outdoor living at it’s best!